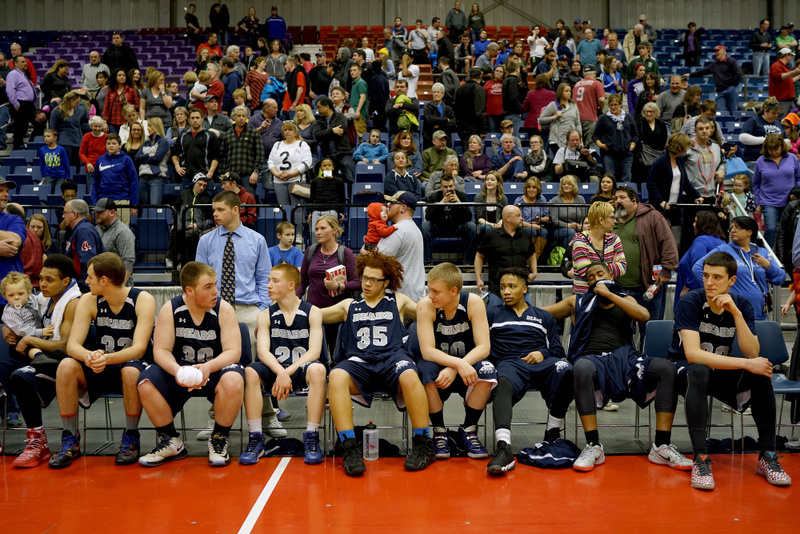 Even after losing a title game, 'the best Bears team' from South Portland's A.R. Gould School realize how far they have come. 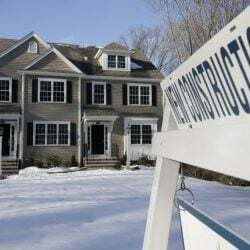 AUGUSTA — Ten years ago, A.R. Gould boys’ basketball coach Chad Sturgis often got the same response from schools when he asked if they would play his team. That’s because Sturgis’ players are technically inmates. The A.R. Gould School is the educational component at Long Creek Youth Development Center, a juvenile corrections facility in South Portland. But the Bears have come a long way from those days. On Saturday at the Augusta Civic Center, A.R. Gould competed in its first regional championship game, losing 69-33 to Greenville High in the Class D South final. However, you wouldn’t know they’d just suffered a lopsided loss from their smiles. “It was pretty good – felt cool,” Issak Aliyow said with a grin. 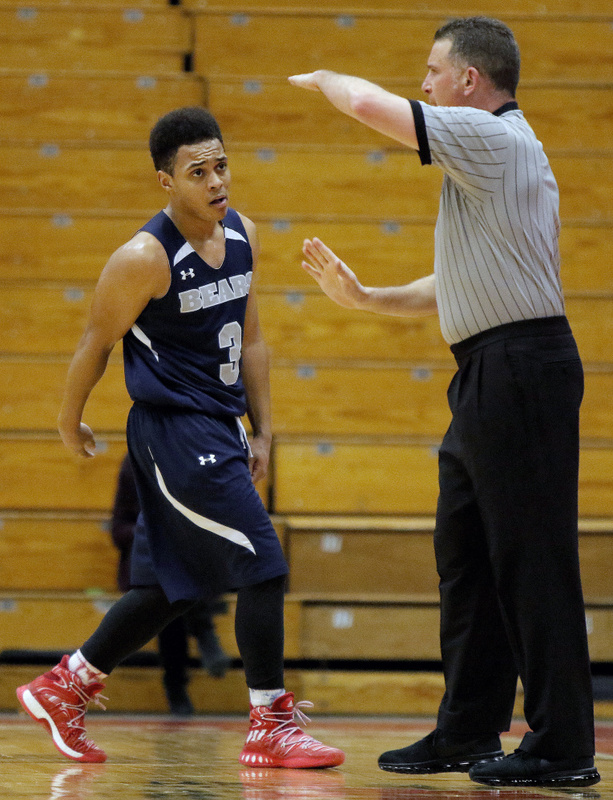 The senior captain scored 16 points for the Bears, who finished with a 17-4 record. “We’ve got to build a trophy case now,” Sturgis said. His players laughed. Another senior captain, Tyrese Collins, accepted their plaque as regional runners-up during the postgame awards ceremony. He held it high with a wide smile to wild applause. While A.R. Gould isn’t your typical high school, the Bears don’t lack support. Spectators cheering them on included their families, teachers and guards, as well as fellow and former inmates. 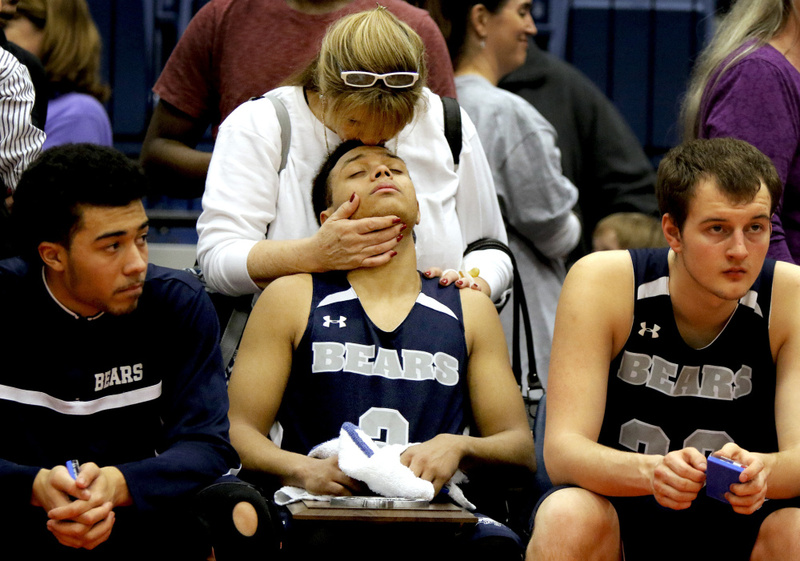 While Greenville accepted its trophy, the Bears watched from their bench with blank stares, occasionally cracking a smile when fans wrapped their arms around them, hugging them from behind. 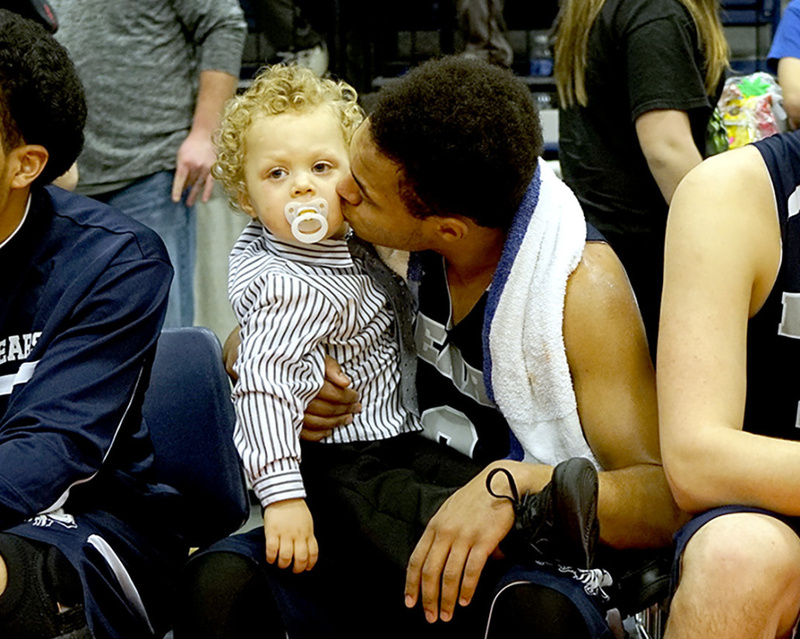 On Collins’ lap sat his son – a 2-year-old with springy blond curls. His mom, Susan, kissed Collins’ cheek. The team never moped or stopped patting each other on the back – behavior Sturgis said is typical for the team. 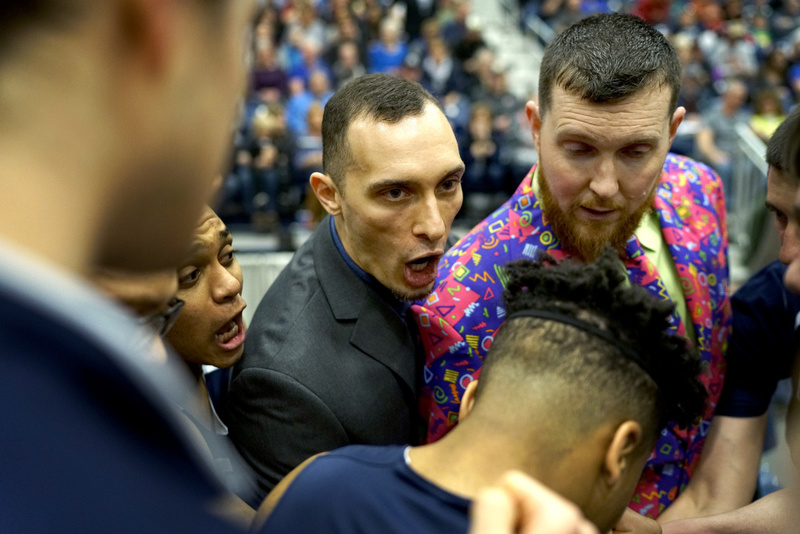 Despite initial reluctance from schools to play games behind the locked doors at Long Creek, he has received many compliments and letters noting the players’ positivity and politeness in the past five years. “They’re a terror on the court, but they’re smiles win or lose,” Sturgis said. “They’ve dealt with a lot of adversity their entire life – it’s no different from the day-to-day struggle they go through. It’s good that they know that there is a bunch of people who support them. The Bears’ success has united the school. As Greenville pulled farther ahead during Saturday’s game, Sturgis had his players look behind them at their fans. 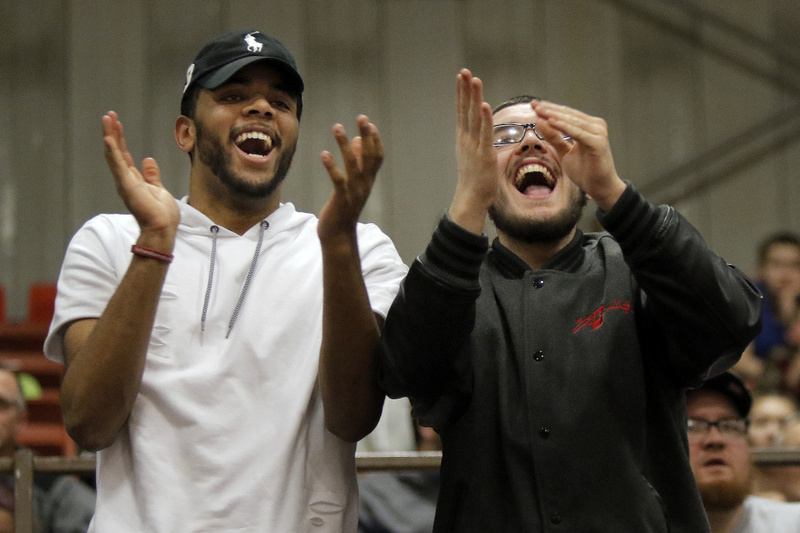 Keegan Gaouette and Ibe Mokeme were among the more vocal spectators – clapping and standing up after every good play by the Bears. Mokeme occasionally flashed a thumbs-up to the A.R. Gould players. Gaouette initially hesitated to talk about their association with the school. 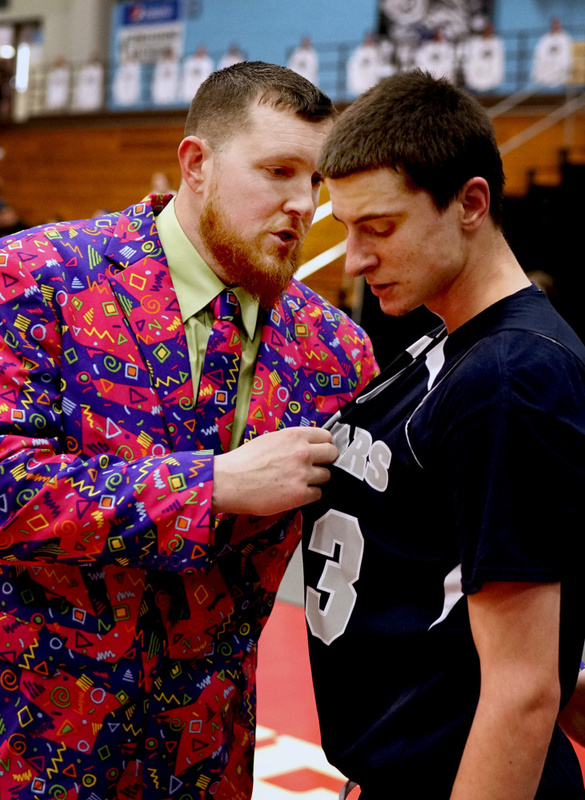 Before games, players get to substitute their beige and gray uniforms for their blue warmups, which Sturgis said facilitates the feeling of a “real high school.” The team typically celebrates wins with meals from McDonalds, but on Saturday they were headed to China Buffet to cap off their season.